So you are doing your due diligence, preparing to select and implement software to help you profitably and efficiently manage a growing field service operation. You may not be 100 percent confident in your success-and this may be a realistic concern to have at this juncture—because there are wrong turns you can take in this process, mistakes you can make, that will lead to suboptimal results or even project failure. At IFS, we know the software you select has a significant role in ensuring your success, but let’s set that aside. Instead, let’s take a look at some of the pitfalls inherent in a selection and implementation process gone wrong, and how you can avoid them. Field service management software changes the way your business operates. So that means a number of key people need to be involved in selecting and implementing your new solution. 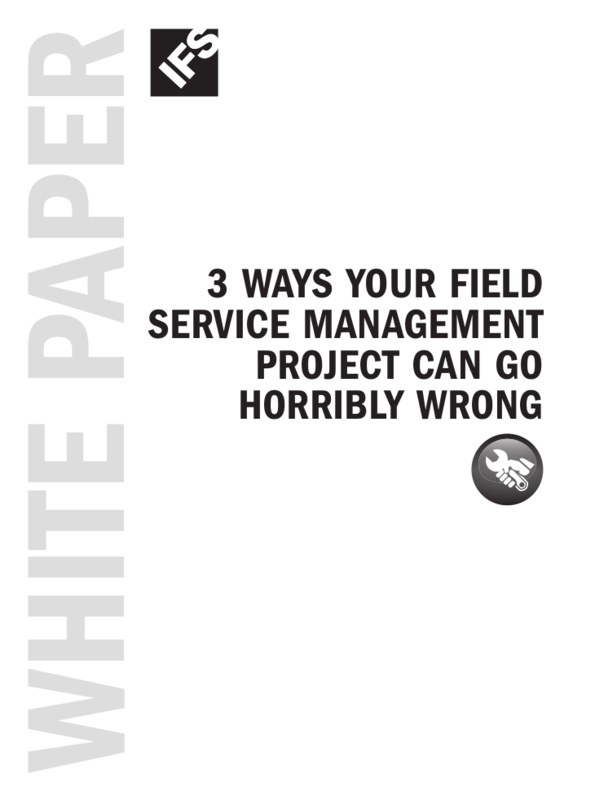 Too often, we see companies limit involvement in their field service management software project to the IT department or a single business analyst. These individuals research the capabilities of various software products and make a recommendation. Their recommended software is implemented and the implementation fails. These may be very capable individuals running the selection and implementation process, but they are doomed to failure because, given the broad impact of the software on the organization, a more inclusive selection and implementation team is required. A successful project must involve, early on, the dispatchers, field engineers and field supervisors—the people whose day-to-day lives will be affected by the new processes the software will facilitate. The team must include or have executive sponsors who can ensure that those affected by the project are properly motivated and understand the strategic value of, and business benefits inherent in, implementing the new software. Read the entire white paper for more information.